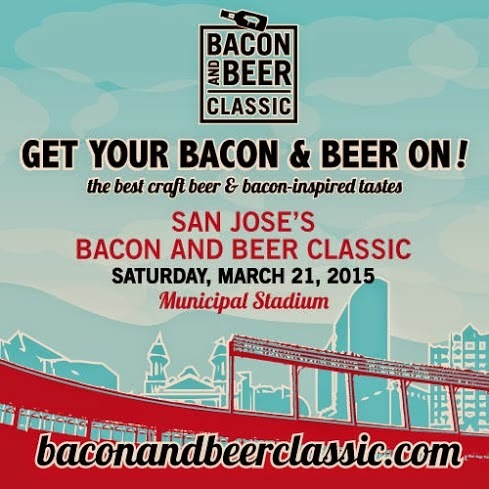 San Jose Giants baseball returns next month to Municipal Stadium, leaving the stadium open this month to host the Bacon and Beer Classic on Saturday, March 21. San Jose is the first stop for this traveling festival that seeks to bring together local breweries and restaurants for an event full of beer and bacon samples, accompanied by music, games, beer school and cooking demos. Over 30 breweries will participate, including San Jose's own Strike Brewing Company and Santa Clara Valley Brewing. There are many local restaurants participating as well, such as San Jose's 71 Saint Peter, Firehouse No. 1 Gastropub, Habana Cuba, Konjoe Burger Bar, and Loteria Taco Bar. There's the Brunch Session from 12-3pm and the Evening Session from 7-10pm. General Admission tickets are $59. There is also the VIP Experience ticket for $99 – VIP guests will have one-hour early admission (11am and 6pm, respectively), access to VIP areas and other exclusive perks. Designated driver tickets are $29, and tickets for those between 5 and 20 years are $19. Children under 5 are free. For more ticket details, click here. The event should prove to be a popular draw for the many fans of bacon and local craft beer. I've previously written more about this event on Examiner.com.